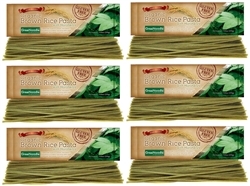 Get 6 packs for the price of 3! 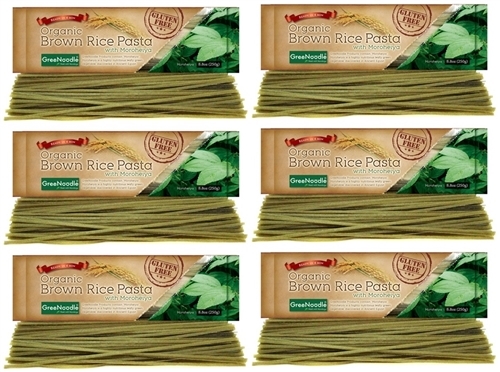 Typically rice pasta is made from rice flour which can oxidize easily and lose nutrients. 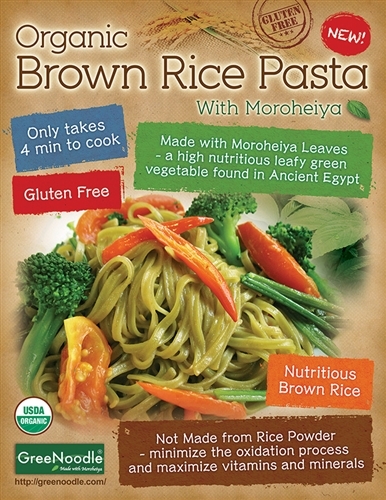 In order to minimize the oxidation process and maximize vitamins and minerals, we manufacture our Organic Moroheiya Brown Rice Pasta directly from organic brown rice grain, without the use of rice flour.